High Riser: I am American! A family cemetery sounds very posh to me. The family which is buried together stays together. EC, staying together must be permanent hell for some family members. I hope your brother was able to share the tree with you. My ancestry is all Scottish and Irish. An aunt on my father's side married an American soldier. They met when he was stationed here during the Second World War. After marrying they returned to the States where they had their family and formed a life. Years later they returned to Australia...and Rockhampton, which was where they first met, and married. Have a good week, Andrew. Lee, they came back to live in Rocky? That was quite a big step and I assume without their family. No bigger a step than moving to the States. The rest of my aunt/father's siblings were still living in Rockhampton....so no...it wasn't a huge step. My late brother, Graham and I were both born in Rockhampton, but, along with our mother and grandmother, left when we were both very young. Must have a bit of a change for the kids who has grown up in the US. Not an expert but little I know about private cemerties here in USA. I know religious base cemertries are consider private but state to state burial laws very. By blood relative do you mean direct descendant? Because that would explain my next query which is: if they are on your family tree how can they NOT be a blood relative, but of course on thinking about it there would be many branches that aren't directly connected to you. I'd like to know more about my ancestry but I'm not paying for any genealogy. I'll just be content with what my mother has done with her side of the family. River, I am not sure I know myself. The German connection has no connection to me through birth. whereas Mother's grandmother and perhaps her niece does. May I suggest you use either Geni or Ancestry to map out what you do know and you don't have to pay for that. I have it all drawn up in 'tree' form by hand, Mum did that and then dedicated a page per family with photos. That's good enough for me, but she couldn't find any information on my Dad's family apart from his parents and brothers who are now all dead with the possible exception of a cousin who vanished at age 16 and was never seen again. 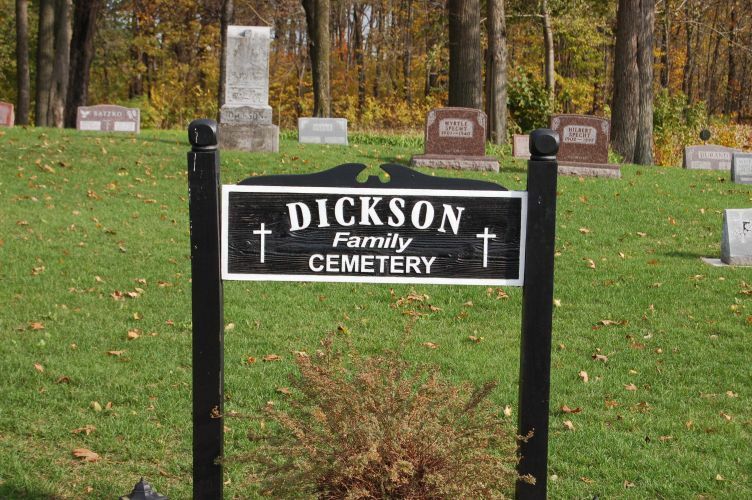 That does sound very chic; having your own family cemetery. I was recently told that I have some Irish blood. I REFUSED to believe it. They must have made a mistake. Lordy Cro, that explains everything. It is your Irish blood. What's wrong with being Irish? American? Oh dear... does that mean you are obligated to listen to Thump??? Go over it all again with your mum, showing her all the formal and informal documents that you have. Ensure you note the names, dates and places on any photos you can find. We found dozens of documents and photos from my brother and sister in law, once they sold the family home. But they had no children or siblings, so there is noone left who can say how to name all their relics. Hels, worse than that. I have to consider with great thought about what my president is saying. Mother has imparted much family history and I have noted it down. It is the old photos I worry about the most. Someone else has many old framed photos and the ones Mother has, I don't know who all people are. Ask Mother if she knows the people, then write the names on the back. I need to do that myself, name and birthdate. Snoskred, I learnt a valuable lesson many years ago with my blog when someone assumed Bone Doctor was a man and not my sister's female partner. And so what I have done? I assumed Sephyroth was female. Actually, having a family cemetery back in the Pioneer Days meant that you were usually not too wealthy, and lived int he middle of no where with no local cemetery to be buried in. In New Hampshire, there are many of these little fenced off cemeteries along country roads. I did find this explaining cemeteries in the USA. "While uncommon today, family (or private) cemeteries were a matter of practicality during the settlement of America. If a municipal or religious cemetery had not been established, settlers would seek out a small plot of land, often in wooded areas bordering their fields, to begin a family plot. Sometimes, several families would arrange to bury their dead together. While some of these sites later grew into true cemeteries, many were forgotten after a family moved away or died out. Maribeth, isn't that quite fascinating. I like the idea that the cemetery takes precedence over property rights. Thanks for article. Grace, while I know the big picture of my family history, as you say, the devil comes in the detail. I think the theory about he family cemetery being more about not having much is most likely. The two that I know of are a couple of miles out of major towns or settlements and so would likely have been for families who maybe didn't have the wherewithal to get to the town to bury their relatives. Thanks Sephyroth. That never occurred to me really. Sepyroth, thank you. You are too kind. It is a matter of time available to do such things. For better or worse, I put my blog, that is my social connections, first. The family probably owned the land the cemetery was on. That used to be common. Well so you are sort of related to me, in a very expansive manner. Welcome to the family, Andrew. Strayer, I can already feel the patriotism beating in my heart and I will learn where to put my hand against my chest. God bless.